Waves real estate offers a wide variety of homes to choose from, running from the ocean to the sound. This home for sale in Waves is a 7 bedroom, 7 1/2 bath home built in 2002, and is located in the upscale subdivision of Wind Over Waves at 26150 N. Sand Dollar Ct. It enjoys panoramic sound views from every floor. 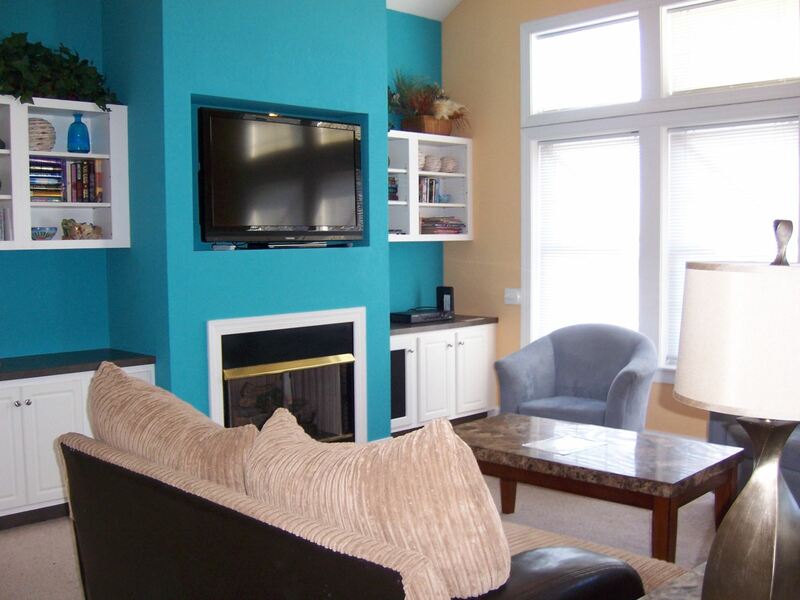 Wind Over Waves is a favorite with renters and owners alike, and homes here consistently generate excellent rental income. The open great room is beautifully furnished and overlooks the sound. The sunsets here are truly amazing. There is a sound view from the living room, dining room, and kitchen. The private, outdoor pool is huge, and boasts fiber optic lighting. There's tons of concrete surround, so everyone can enjoy pool time together. You won't want to come inside. There's a reason so many buyers prefer Hatteras Island real estate - the natural beauty here is unparalleled to anywhere else on the Outer Banks. There are a number of wonderful sound front homes for sale in Waves; if you prefer being on the ocean, then browse the oceanfront homes for sale in Waves. Have questions about owning Hatteras Island real estate? Call your Outer Banks real estate agent Holleay Parcker, Broker/Owner of Spinnaker Realty today at 252.207.1617 and you'll have all of your questions answered promptly and professionally. Waves Real Estate - Just Listed! If you're an Outer Banks buyer who's interested in purchasing Waves real estate, look no further than 25242 N. Wimble Shores. This 3 bedroom, 2 bath home was built in 2015, and fabulous ocean views! Located just 3 lots off the ocean, this custom built home for sale in Waves will please the most discerning buyer. Built with outdoor living in mind, you'll enjoy the covered wrap around decks, the screened in porch, and the rear sun deck. Underneath the house, there's a large one car garage with tons of storage, a carport tall enough to accomodate your boat, and an extra concrete area to enjoy cookouts. 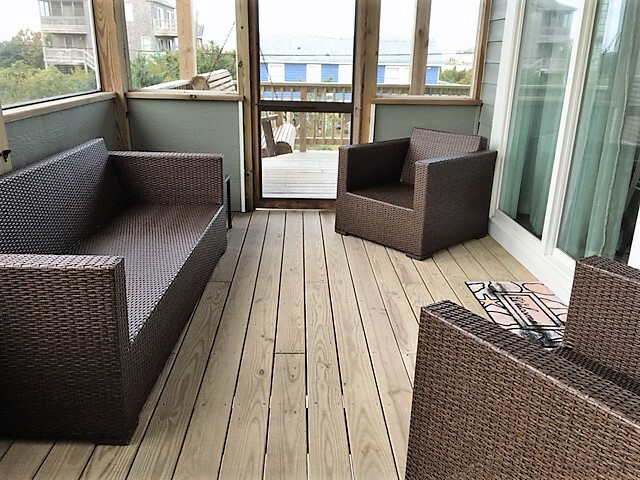 Only used as a second home, this Hatteras Island home for sale is truly better than a new construction Outer Banks home as the sellers have added so many extras - such as hurricane shutters, a fully floored attic that could easily be converted into a wonderful game room, custom closets, and much more. Inside, you'll find a gourmet chef's kitchen, with beautiful granite counter tops and stainless steel appliances. 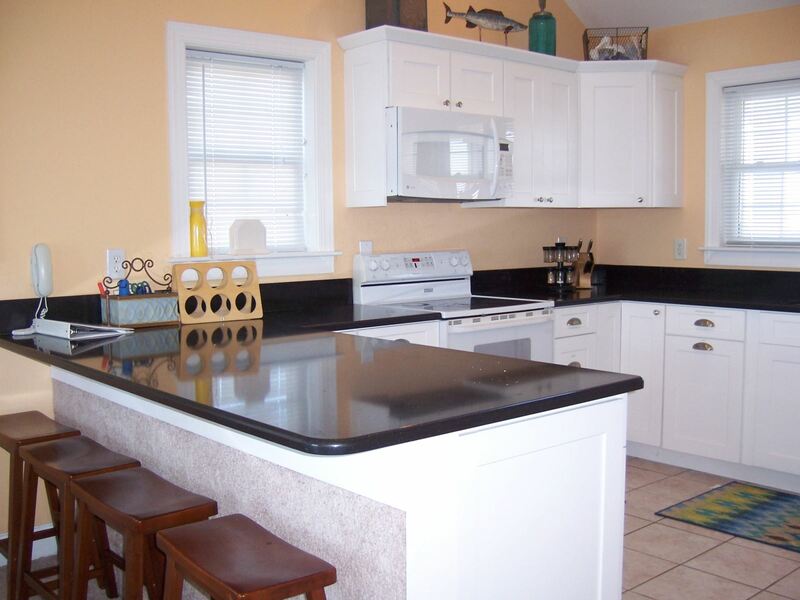 The island is perfect for preparing your meals, and provides additional seating at the bar. The dining area enjoys panoramic ocean views, and the living room boasts a soaring, beamed cathedral ceiling. Wood-patterned ceramic tile completes the look. The master bedroom is spacious, with a door leading onto the sun deck, and the master bath has a custom tile shower and tile floors. There's so much more to this fabulous home that you really must view it in person to fully appreciate how high the quality of construction is. 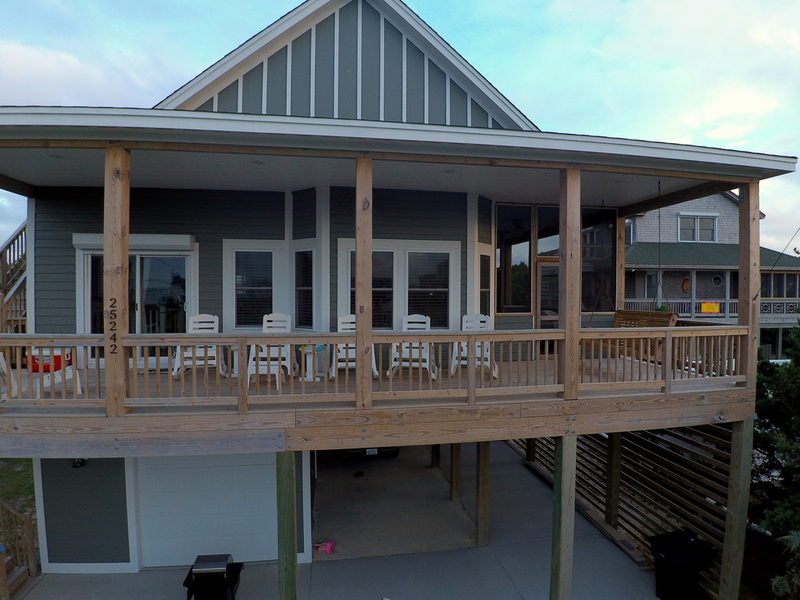 If you're interested in purchasing Hatteras Island real estate, call your Outer Banks real estate agent Holleay Parcker, Broker/Owner of Spinnaker Realty LLC today at 252.207.1617 for more information on this beautiful home. Browse all homes for sale in Waves, and feel free to ask me any questions you have on the listings that interest you! Kill Devil Hills Real Estate - Just SOLD for $314,900! 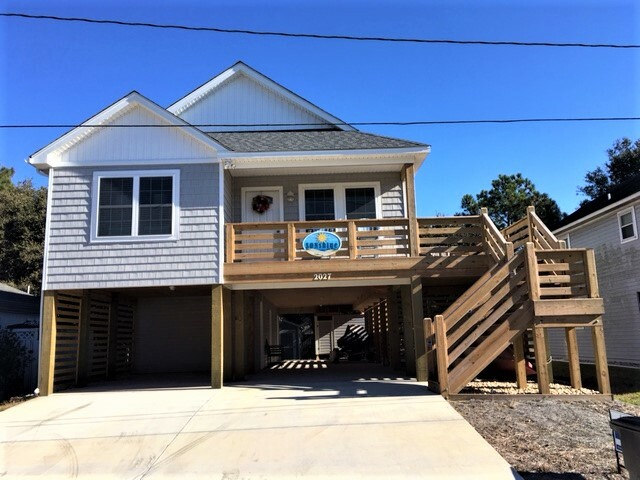 Located at 2027 Edenton Street in the Avalon Beach subdivision, this Kill Devil Hills home for sale went fast - going under contract on the second showing. 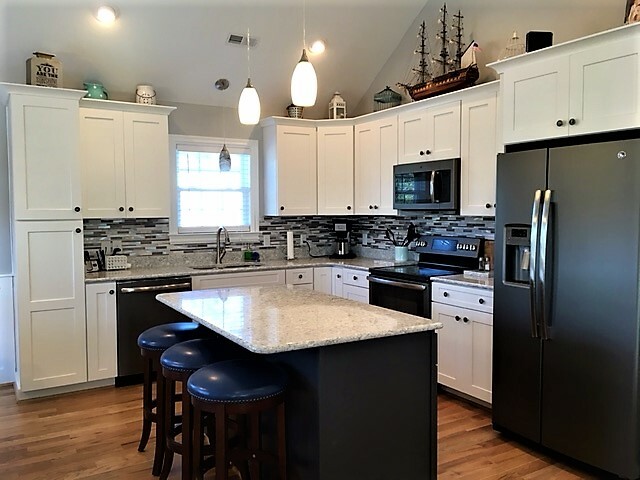 Built in 2017, this Outer Banks new construction home has 3 bedroom, 2 bath home is well built, with the owners adding additional upgrades along the way. Hardwood floors extend throughout the great room, the hall, and the master bedroom. The game room downstairs has ceramic tile. 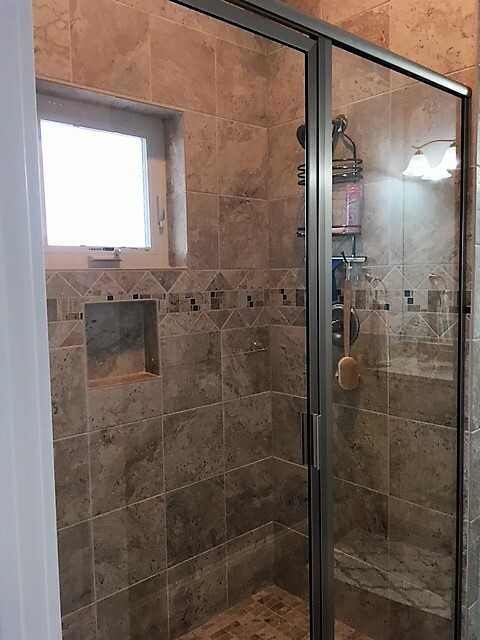 And both bathrooms have custom tile showers and upgraded cabinetry. 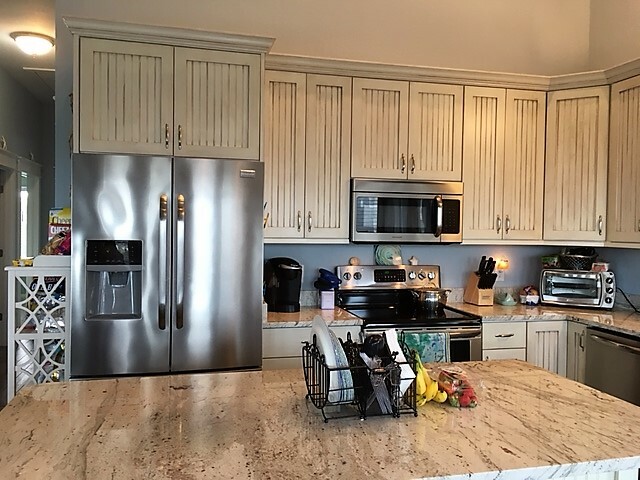 The kitchen boasts slate look appliances, custom cabinetry, an island, and hardwood floors. Wainscoting int he dining room is the perfect completes the high-end look and feel of this home. The living room has soaring cathedral ceilings and tons of natural light. 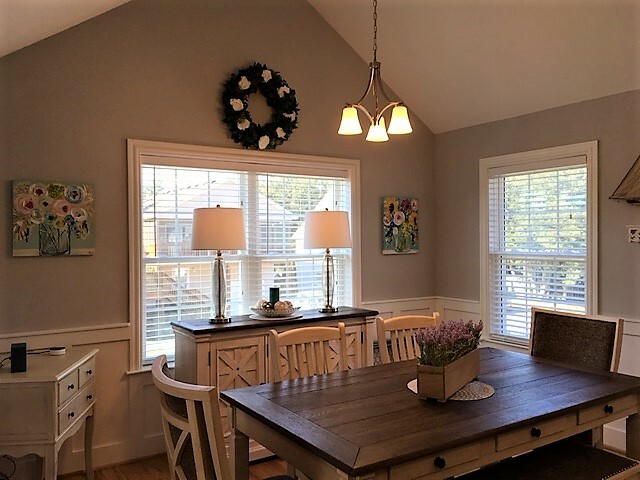 Kill Devil Hills real estate is sought after by buyers in this market, and how quickly this home sold is the perfect example of that. My listing was priced $20,000 higher than recent comps, due to the wonderful finishes and quality construction, and it sold for $15,000 over recent comparable homes, in just 2 days on the market. Browse all Kill Devil Hills real estate for sale and let's find your perfect home today! If you're wondering "What is my Outer Banks home worth?" or you're interested in selling your Outer Banks home fast and for TOP DOLLAR, call Holleay Parcker, Broker/Owner of Spinnaker Realty LLC now at 252.207.1617. I can get you from where you are to where you want to be! However, the trend of median sales price for Duck real estate over the last few years is not nearly as straightforward... The median sales price in 2013 was $499,900. 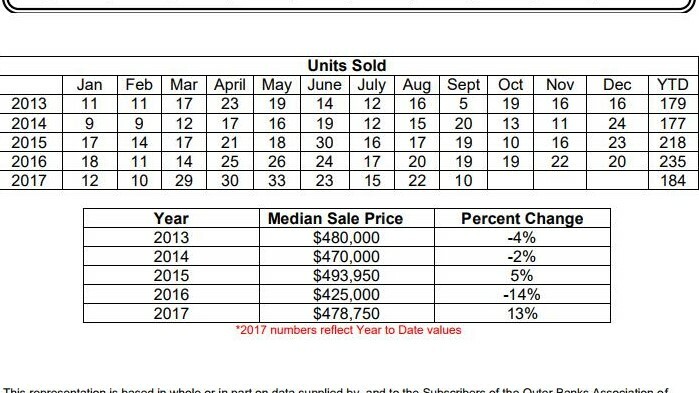 Year to date totals in 2017 show a median sales price of $465,500. * So what happened? There are many factors to consider when thinking about buying a home for sale in Duck. The age of the home, its condition and amenities, the condition and age of surrounding homes, distance to the beach, rental history, and the stability of the beach and dunes are just a few factors you'll need to consider, whether you desire to purchase an oceanfront home for sale in Duck, a Duck soundfront home for sale, or an ocean side condominium. Call your Duck real estate agent Holleay Parcker today at 252.207.1617 and let's get started turning your dream into a reality! *YTD figures are based on information from the Outer Banks Association of REALTORS® MLS for the period January 1, 2017 through November 30, 2017. Historical data from OBAR MLS for the period 1/1/2013 – 12/31/16. The Nags Head real estate market has shown gains in 2017 in the number of units sold. Year to date total sales stand at 212, which is up significantly from the 187 homes sold in 2016. * That's good news. While the number of home sales in Nags Head has increased, the median sales price has decreased 1%. * Now, this isn't alarming, given the fact that values have been on a steady march for the past three years. However, it is worth watching to see if this is an anomaly or a new trend. If you're interested in purchasing an oceanfront home for sale in Nags Head, an investment property or a second home, give me a call today at 252.207.1617. There are many beautiful sections of Nags Head that many visitors are unaware of. 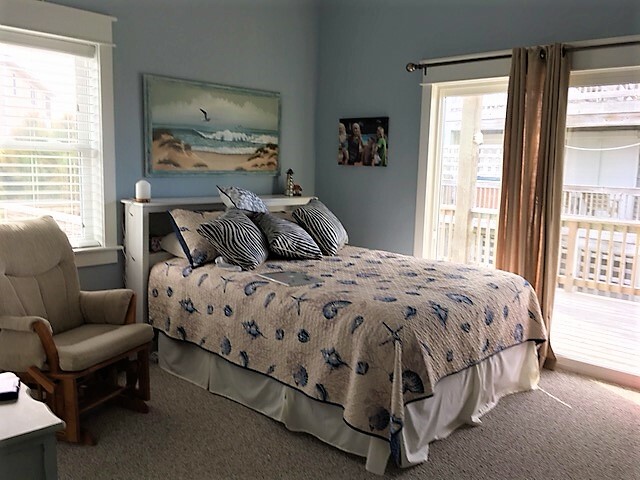 I am happy to show you the incredible beauty of this town, and to assist you with your purchase of Nags Head real estate, so call today and let's get started! So if you're considering purchasing an investment property, whether it's an oceanfront home for sale in Corolla, a Corolla sound front home for sale, or something in-between, give me a call today at 252.207.1617 and let's get started finding the perfect home to meet your investment needs. *YTD figures are based on information from the Outer Banks Association of REALTORS® MLS for the period January 1, 2017 through November 30, 2017. Historical data from OBAR MLS for the period 1/1/2013 – 12/31/16; most recent sales data from OBAR MLS for the period 1/4/18 - 1/8/18. Inventory is down, and there are more buyers competing for fewer homes. I’ve had several instances this year where there were multiple bids on properties, something that hasn’t happened much since the Corolla foreclosure market dried up. These multiple offers were on non-distressed properties; as I say, there is more competition today for homes in the Corolla real estate market. If you’re interested in exploring what properties might best serve you and your family’s needs, why not call your Corolla real estate agent Holleay Parcker today at 252.207.1617 and let’s get started finding your perfect Corolla home for sale. This representation is based in whole or in part on data supplied by, and to the Subscribers of the Outer Banks Association of REALTORS® Multiple Listing Service. Information contained herein is deemed reliable but not guaranteed. Data maintained by the OBAR MLS is for its own use and may not reflect all real estate activity in the market. *YTD figures are based on information from the Outer Banks Association of REALTORS® MLS for the period January 1, 2017 through September 30, 2017. Historical data from OBAR MLS for the period 1/1/2013 – 12/31/16. 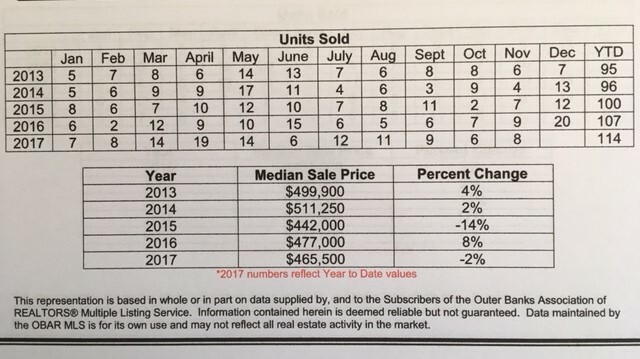 I’m frequently asked how the Corolla real estate market is doing. 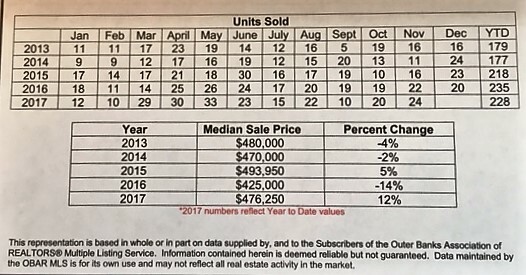 From the chart below, you can see that the median sales price of residential home sales in Corolla year to date in 2016 is lower than it has been since 2012. With historically low interest rates AND low values, now is a great time to consider purchasing Corolla homes for sale. Further, we are now entering our annual sales cycle that benefits buyers. You see, in the spring, before the rental season begins, sellers can command a higher price for their Corolla home, because the buyer will receive the full year’s income. 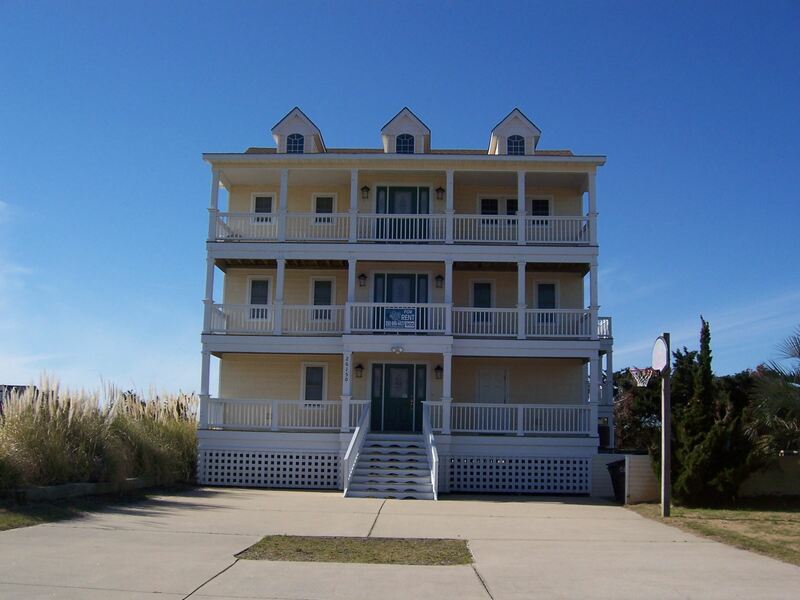 In the fall, however, Outer Banks sellers have received the income on their Corolla investment property for the year, and typically discount the sales price for this reason. Additionally, buyers interested in purchasing Corolla real estate need to be aware of the fact that our market is changing. We are experiencing the lowest levels of inventory in recent years, and as a result, properties that are priced to the market are selling quickly. Of course, there are different subsections of the Corolla real estate market. Buyers who are considering purchasing a Corolla oceanfront home for sale have different questions and issues to address than those who are looking to buy a Corolla soundfront home for sale. And the many differences that exist between those two types of purchases are simply beyond the scope of this discussion. As your Outer Banks real estate agent, I’m happy to answer your questions and provide you with the information you need to make an informed decision. Call me today at 252.207.1617 to discuss your real estate needs, whether you’re buying or selling. *YTD figures are based on information from the Outer Banks Association of REALTORS® MLS for the period January 1, 2016 through August 31, 2016. Historical data from OBAR MLS for the period 1/1/2012 – 12/31/15. Showing property is the easy part of an Outer Banks real estate agents job; the heavy lifting doesn’t begin until the offer on an Outer Banks home for sale is accepted. Once we are under contract, the real work begins. I order every inspection on the property, which typically includes an Obx home inspection, a septic inspection and a pest inspection. 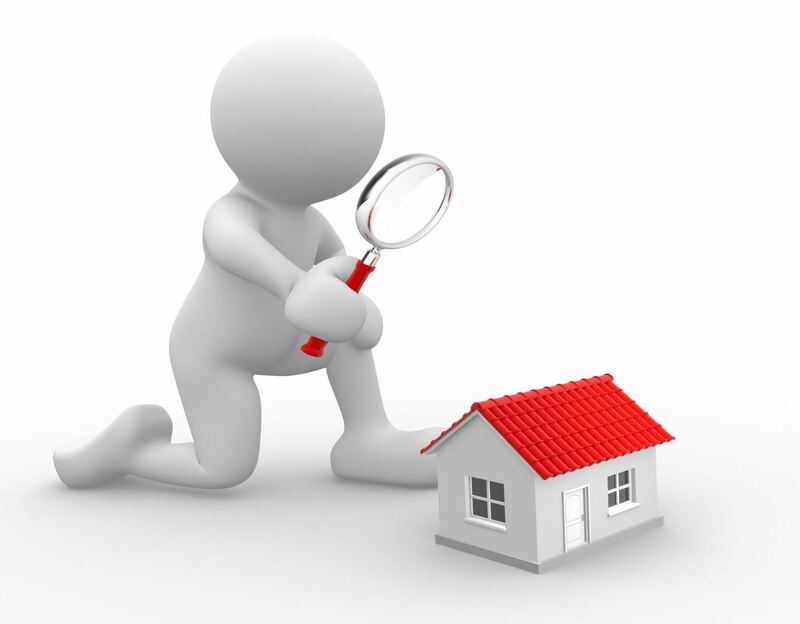 Once the home inspection is completed, I may then need to have other inspections performed, which may include a fireplace inspection, an elevator inspection, an hvac inspection, and a pool/hot tub inspection. Depending on the results of the home inspection, a licensed Outer Banks builder may be needed to quote repair costs for electrical, plumbing, and roofing. A new survey must also be ordered. During the time we are under contract, I am at the property at least a half dozen times, to meet every inspector and to watch as the inspections take place. I want to be present because more often than not, my Outer Banks buyers cannot be, as they live out of state and their schedules will not permit another trip down. During the inspections, as issues arise, I am on site and can ask questions to gain more clarity about the situation. Because I’m present, I can ask the inspector’s advice on how best to proceed with the next step if there's an unusual situation. And I almost always learn something new during each transaction. Viewing the property multiple times also allows me to notice things about the neighborhood that my buyers and I may not have noticed while showing the home. As an example, if there are any dogs that bark incessantly, or loose dogs running through the neighborhood, I may run across them. My frequent trips to the property allow me to see which neighbors are home during the day, and which are not. All of these things I then report back to my buyers. It’s pretty rare to find an Obx real estate agent who is willing to go to these lengths for their clients. Most don’t want to take the time, as it’s not a ‘money-making’ activity. But as I see it, it’s my job to be my buyer’s eyes and ears. So when you’re searching for the right Outer Banks real estate agent, be sure to find one who is willing to be present at EVERY inspection. I am. For more information on Outer Banks real estate, call Holleay Parcker, Broker/Owner of Spinnaker Realty LLC today toll-free at 877.207.1617, or visit her website at OuterBanksRealEstateMLS.com. Located Oceanside in Nags Head, and just 2 lots off the ocean, this 10,000 square foot Nags Head lot for sale should support a 5 bedroom house with a pool, and may have ocean views. Old Nags Head Place real estate is a favorite with investors and second home owners alike, as this is one of the newer subdivisions between the highways in Nags Head. 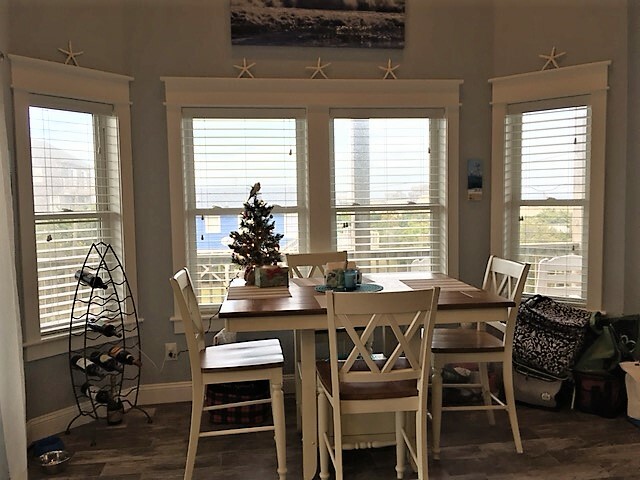 All of the homes built here are relatively new, with Florez and Florez inspired architectural designs that maintain the historic Old Nags Head cottage style while providing tons of curb appeal as well. Getting to the beach is a short walk indeed, as there are three beach accesses within the subdivision. The southernmost beach access is located on Hollowell Street, and this access provides plenty of parking, an outdoor shower, and a wood walkway to the beach. Most important to note is that there is a lifeguard on duty here during the season. The access at Curlew Street is located in the middle of the subdivision, and offers plenty of parking. The northernmost beach access is located at Bainbridge Street. Because this is such a desirable neighborhood, there are only a handful of vacant lots for sale in Old Nags Head Place, and fewer still on the east side of Memorial Avenue. 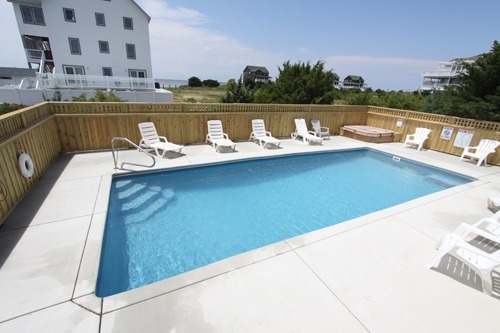 Many Outer Banks investors choose to build a new construction home here and rent it out, because the rental income generated is consistently high for a five bedroom home with a pool. While the majority of Old Nag Head Place real estate homes for sale are investment properties, there are many second homes also, with a few primary homes as well. From the bypass, it’s hard to miss Old Nags Head Place, as it’s located across the street from the entrance to Jockey’s Ridge, the single most visited tourist attraction on the Outer Banks. The traffic light on Hollowell Street allows access on and off of the bypass, which makes getting around during the season much easier. Street lights are another convenience in this subdivision, and the beach access on Curlew Street is lighted as well, so walking to and from the beach in the evenings is a snap. If you’re interested in purchasing a Nags Head lot for sale, this Old Nags Head real estate parcel located at 3521 S Memorial Avenue, Nags Head may be the perfect fit for you. The asking price is just $205,000. Call your Nags Head real estate agent Holleay Parkcer today toll-free at 877.207.1617 for more information regarding the Old Nags Head Place restrictive covenants as well as a copy of the lot survey.